Let me begin on a honest note and confront that my understanding of Mexican cuisine is limited to Tacos, Nachos and Burritos and I only have the Fast food culture to blame on my lame knowledge. 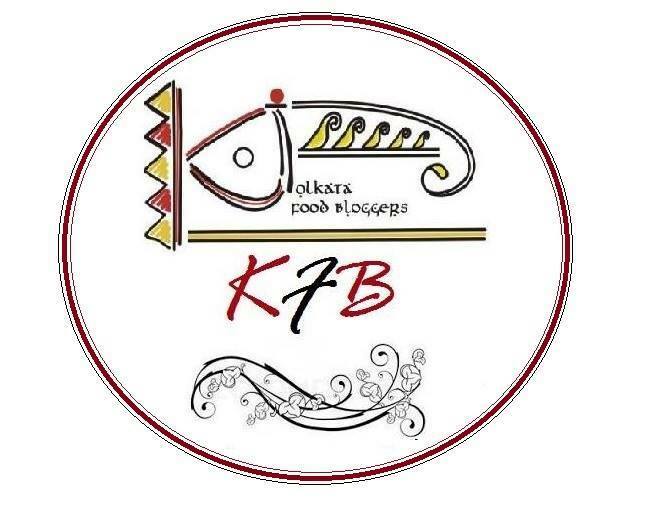 When Kolkata Food Bloggers received an invitation from Taj Bengal to attend their ongoing Mexican Food Festival with chef Eduardo Perez, I was pleasantly surprised to go back home with a whole new understanding of this vibrant cuisine. We had the privilege of having the Chef himself take us through a beautiful journey of understanding the Mexican cuisine. The important pillars of this cuisine are Corn, Black beans and Chilly pepper. There are about 100 varieties of chillies, with heat levels ranging from mild to very hot, used in this cuisine and Chef Eduardo cited it as a main ingredient in his creations. Tortillas, a staple in Mexican cooking is made with a special kind of corn flour called Masa. We also learned that their basic medium of cooking is in Corn oil. Mexican cuisine can also be very complex with a simple dish such as Mole sauce(a traditional sauce) which can have more than 30 ingredients which includes chocolate and chillies. Amongst the many differences in the ingredients and cooking techniques, Chef Eduardo enlightened us with some of the similarities it has with Indian cuisine. He told us about a cheese called Panela which is very similar to our Cottage cheese but has salt in it unlike our bland one. A number of their desserts include reducing Goats milk to a thicker consistency much like our Rabdi. This only proves the fact that Food is universal and is a beautiful medium to enrich our understanding of each other. 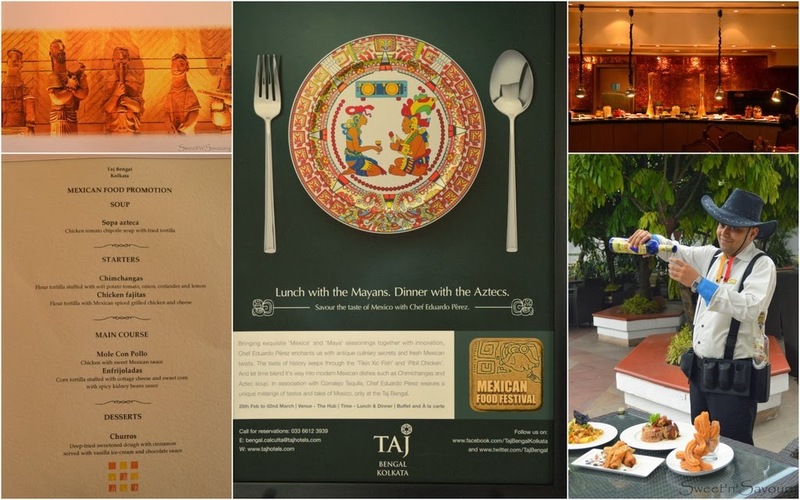 Taj Bengal has taken the wonderful initiative to bring authentic Mexican flavours to treat our taste buds. This festival is on till 2 February, 2014 and is open for both Buffet and A La carte, Lunch/Dinner. The menu served to us was part of the A la Carte which will cost for Rs 3000/- inclusive of taxes for two. We were warmly greeted by the team of Taj Bengal over some fresh Orange juice and were soon joined by the company of the chef himself who very patiently explained us the components of each dishes and answered all our queries. Our tryst with the Mexican cuisine started with a warm bowl of soup called Sopa Azteca. This was basically a tomato soup spiced with a chilly called Chipotle and had chicken in it along with fried tortilla. The chipotle according to Chef was used three times lesser than what they use in Mexico. For my taste buds, the soup was already spicy enough with the one-third use of chipotle. The fried tortilla strips in the soup was obviously soggy and hence I liked the tortilla strips served with it which added a nice crunch. A dollop of sour cream was suggested to minimize the spiciness which tasted refreshing. For starters, we were served the famous Chimchangas to which the Chef had added an obvious Indian touch by stuffing Flour Tortilla with mashed and spiced potatoes. The dish reminded me of the Churmur we have with fresh chopped onions, tomatoes and coriander leaves topped with generous lemon juice. Chef Eduardo suggested us to pair it with Sour cream and a fresh Salsa. 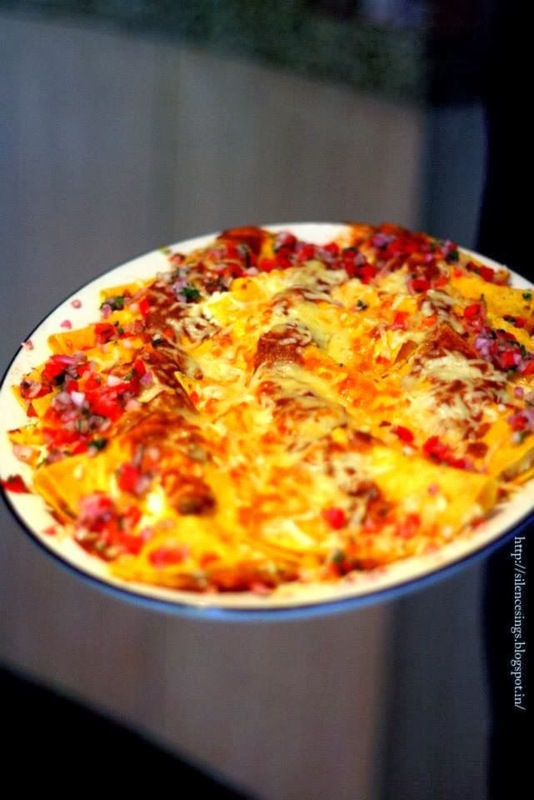 This dish was a perfect fusion between the Mexican technique and Indian flavours and was enjoyed by all. Next to come was Chicken Fajitas, another popular Mexican dish which is a flour tortilla with mexican spiced grilled chicken and cheese. This dish was well balanced in flavours. For the main course we were served the traditional Mole Con Pollo which is Chicken with sweet Mexican sauce. Chef told us that the mole sauce was made with more than 15 ingredients which included spices like cinnamon and ingredients like peanuts, chocolate and chilly. The dish was served with Mexican rice which had kidney beans in it. The main course ended with Enfrijoladas which is basically corn tortilla stuffed with sweet corn and cottage cheese served with a kidney bean sauce. I found this dish to my liking and loved the flavours in it. My affair with the Mexican cuisine got strengthened with the dessert served for the day which was Churros. Served with tender Coconut Ice cream and hot chocolate sauce, it was truly the cherry on my cake. Rolled with cinnamon and sugar, these deep-fried pastry doughs took my heart away. Crunchy on the outside but soft inside, these were on my list for some time and I am glad to have tasted the finest. I thank the staff of Taj Bengal for inviting us over and enriching our experience of global food and chef Eduardo Perez for very patiently and passionately guiding us through understanding this remarkable cuisine. Disclaimer : The opinions shared here our my own and are not influenced monetarily or otherwise. 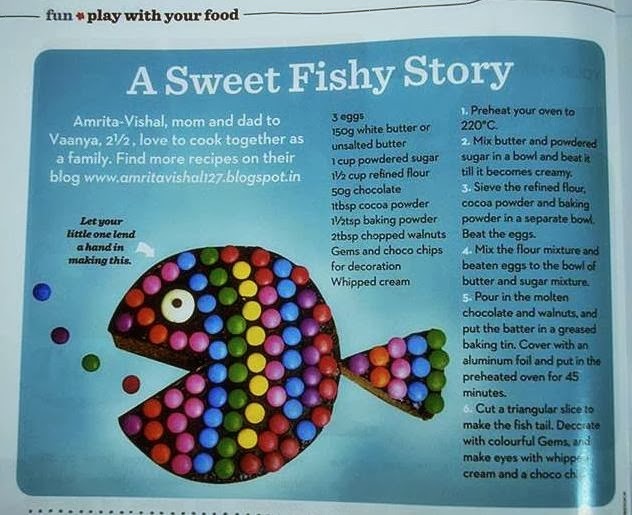 Check out my friends Kamalika and Archita's experience.